The technique of robot-assisted radical cystectomy (RRC) allows precise and rapid removal of the bladder with minimal blood loss, which is translated in to minimal morbidity with equivalent success to open surgery to the patient. 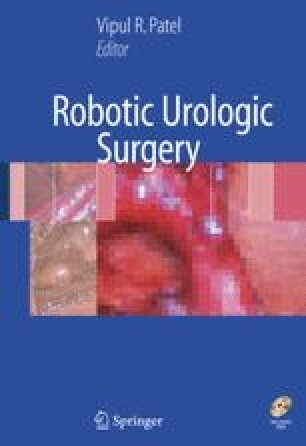 Herein, we briefly describe this new technique of robotic radical cystectomy and urinary diversion with review of the published literature. The potential advantages of robot-assisted surgery can be transferred in complex and advanced urooncologic surgery such as bladder surgery. However, long-term oncological and functional outcome are yet awaited.